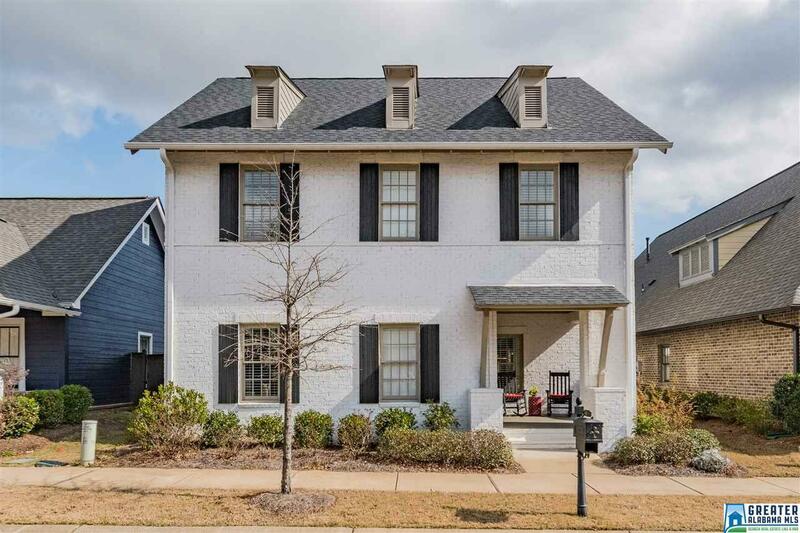 Spectacular 4/3 in model-home condition in the highly sought after Hamptons neighborhood of Ross Bridge! Fabulous opportunity to live on desirable street near 2 Parks, Pool, & lots of friendly neighbors. This beautiful brick home features 3 living spaces with popular 2 Bedrooms Down/2 Bedrooms Up floor plan & entry foyer! So many designer upgrades: 2-story shiplap feature wall with gas fireplace; elegant hardwoods; spectacular lighting. Gourmet kitchen w/ huge island, subway tile, granite counters, upgraded stainless appliances - all open to bright keeping room. Elegant Master with spa-like on-suite w/ dual shower heads, jetted tub; 2 vanities;Huge closet! Upstairs bonus room just for the kids or man cave. 2nd Bedroom down has own bath -- great for nursery, office or in-law suite. Entertain outside on the covered porch with an extended patio overlooking professionally landscaped & fenced yard! Ross Bridge is the place to be with 4 pools, community events, playgrounds, & walking trails. Driving Directions: From John Hawkins Pkwy Turn Onto Ross Bridge Parkway. Turn Left Onto Greenside Way. Turn Left Onto Ross Ave. At The Traffic Circle, Continue Straight Onto Orchard Ave. Turn Right Onto N Hampton Dr. Turn Right Onto Abbotts Way. House Is On The Right.